Once you have processed a Deferred transaction through your account you are then able to release this to receive the funds. You are only able to release any deferred transaction once. You can only release up to the original amount of the transaction. After logging into the account you will first need to locate the transaction you wish to release. Now that you have located the deferred transaction you are ready to release. 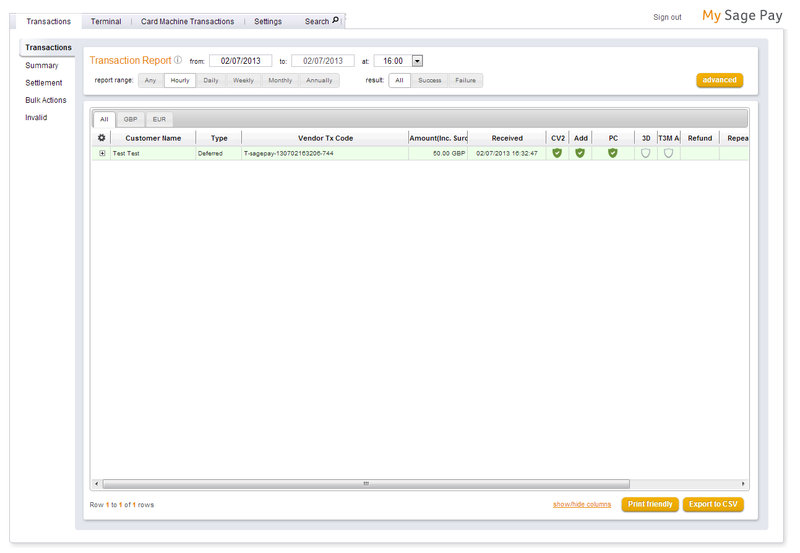 Simply click on the transaction you wish to release, you will then be presented with the transaction detail screen. The Release button will be displayed on the bottom right corner of the transaction detail screen. Select this button to be taken to the release screen. Enter the amount you would like to take from the shopper and select release. You have now successfully released a transaction.